IPPOSI Targets and Impacts from IPPOSI on Vimeo. 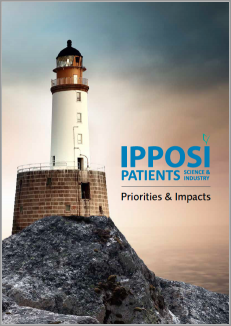 # Note 2: For the purposes of the IPPOSI strategy, advocacy is defined as the strategic use of IPPOSI representatives to increase awareness and understanding of issues related to patient access to, and involvement in health innovation across government, agency and regulatory spheres. IPPOSI advocacy activities will work in concert with other efforts carried out by patient organisations in the area of access to health innovations. Through a combination of high-level approaches, IPPOSI advocacy efforts will aim to help policy makers, individual agencies and regulators understand how an educated, empowered patient community can support each agency’s mission and business needs. IPPOSI members were canvassed for their ideas on relevant health topics for IPPOSI to focus on over the two periods of 2017-2018 and 2019-2020. These priorities informed our work in 2017 and will continue to inform our work this year. To this end, the IPPOSI Board dedicated 2018 to the theme of Access to Medicines. A prioritization survey which focuses mainly on Access to Medicines was conducted in 2018.